Chelsea Valentine's Party and Complementary Cocktails ! You must be a member of the London EU/Russia/CIS Network Group to attend this activity. Would you like to join this group? 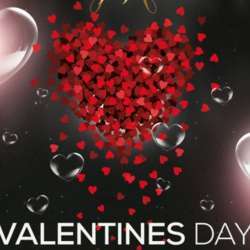 I am sure you will enjoy Valentine Day and CLUBBING at this iconic stylish place in Chelsea ! Complementary cocktails, chocolates and cakes for our group will be available on arrival. Club is specially decorated with flowers and balloons! Please use this opportunity to network, socialise and dance ! After 10pm we can still stay in the club ! Music and dancing is great there as well, table will be booked for the group. This club stands out as one of the upgraded and upcoming clubs in West End ! Evening dresses or club attire, heels and smart shirts are required. The club is a glamorous guest list only venue. Photo IDs is a must, for security reasons for everyone. Pls note that ID means PASSPORT or DRIVING LICENSE only. Our GUEST LIST as usual: ''EU PROFESSIONALS NETWORK''! Bring new members and friends but please ask them to sign up to InterNations first. Lets catch up and network again.